Smarter Loans > What is a Home Equity Line of Credit? Home ownership comes with a list of benefits which includes access to a home equity line of credit (also known as a HELOC). Other rewards to owning a home versus renting include financial perks, like healthy tax credits in some locations. For millions of people, the pride of owning their own home is incentive enough to buy. Whatever the reason, it is wise to know there’s a way to reap the benefits of a HELOC if the need arises. The money that is lent to buy a home (a mortgage) is a form of secured credit, which means property is put up for collateral. A home can be taken away (foreclosed) if the mortgage payments are not met. The same as a car; nonpayment means the car is subject to repossession. The good thing about secured credit is that the borrower owns the property (home, car) after it is paid in full, unless he choses to sell it before then. With a home, the time between the first mortgage payment and full ownership of a home is when equity builds. This is a fictitious example used to show how home equity works. This demonstration does not include interest, insurance, fees, home value and a number of other factors involved with a real mortgage, all of which effect the bottom line amount of equity in any given month. The point is that, in theory, he can ask for a home equity loan or a home equity line of credit for $200. The difference between the two is outlined below. A HELOC and a Home Equity loan are mostly based on the amount of equity left in the home. They are similar in that the amount borrowed is set by the lender and sometimes does not exceed the equity. But there are two major differences. A second mortgage, or home equity loan, provides a lump sum of cash to the homeowner. Home equity loans have an ending; when they are paid, the loan is done, and equity continues to build from subsequent payments afterward. Proceeds are disbursed to the borrower by check, or sometimes a lump sum deposit into their bank account. A home equity line of credit is a revolving credit (credit you can use again as you pay it off) account. There is no end date; the line of credit can be used when needed. Like a credit card, the homeowner can decide to spend as little or much as they want (up to the credit limit). The credit limit is accessed by cash withdrawal with a credit card of special checks to be used as desired. 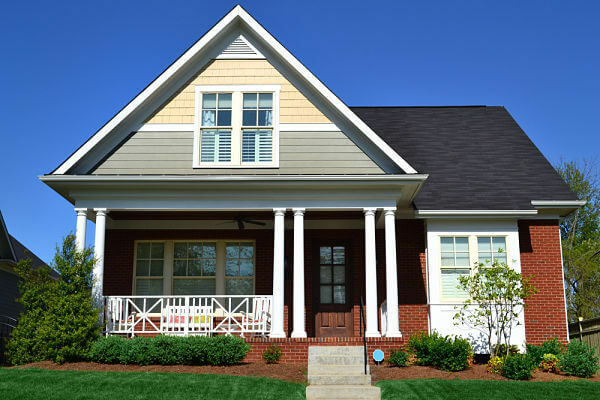 The majority of homeowners use a home equity line of credit to make improvements on their homes. This line of credit allows them to purchase items like appliances, window treatments, floor covering, and construction materials. This purpose makes sense because improvements beautify a home and add to its value. Others use their home for luxuries such as exotic vacations and new cars. According to some financial experts, homeowners tend to use a home equity line of credit for their needs far more than for their wants. The first instinct for homeowners is to go to the lender that holds their mortgage for a home equity line of credit. It does make sense because there is an established financial relationship in place already. Often, the search for a lender can end with the primary mortgage holder. Homeowners should ask how long the introductory rate for the line of credit will last because this varies among lenders. Upfront costs. Again, these are lender specific. Annual fee for the line of credit the lender charges. In the search for home equity lines of credit, homeowners should also get direct answers concerning any prepayment penalties or charges for inactivity. Some lenders offer HELOC’s with what is called a maximum interest rate cap. This is beneficial because it can save money by stopping interest from rising for a specific time period. Getting approved for a home equity line of credit is possible but not always a slam dunk. Of course, the first qualification is that the borrower owns his or her home with payments in good standing. Banks are careful to follow mortgage rules for this type of credit, which can sometimes be strict. Overall, a HELOC will most likely be approved for someone with a lot of equity in the home which has been building over a period of time. The homeowner in the example earlier in this article would not be approved for it with the $200 equity he has following his first mortgage payment. Like all credit, approval is based on other issues such as income and credit score. A HELOC approval also factors in homeowner-related bills, like homeowner association fees, when considering whether a borrower is eligible. A home equity line of credit is a flexible and convenient way to use equity to meet the needs and wants of homeowners. It is often preferred over a home equity loan because repayment can be drawn out over a longer period of time and other reasons. If the home is sold, the HELOC must be repaid in full. It is a good idea to explore options to repay the credit early such as making extra payment amounts, which should be discussed with the loan servicer first in case there are prepayment penalties. Some lenders freeze or reduce a HELOC without warning if they are notified of a change in the homeowner’s financial status or the value of the home decreases. Always consult a tax advisor before assuming HELOC tax related deductions to avoid tax penalties. Reconsider a home equity line of credit if it will be used primarily to pay other debts. Some owners have found themselves trapped financially from reusing money from their home’s equity to repeatedly dig themselves out of debt. The are several advantages to having a home equity line of credit to take care of emergency needs, or fund other endeavours in life. When used properly, a HELOC is a financially sensible way to achieve certain goals or make a home a better place to live. However, tapping into a home’s value should be taken with the same seriousness as when financing its original purchase.